October is the most featuring month of autumn in Vietnam. If you love the season of bright sunlight, cozy breeze, yellow fallen leaves and poetic scenery, you should travel these following places. Ha Giang is perfect mountainous destination for a tour in autumn because it is season of blooming buckwheat flower. Together with chilly air, the gentle and endless beauty of buckwheat fields will take your breath away. In the beginning of October, this flower is in white and light-pink, and then turns to pink, light purple and finally dark red in the end of October and the beginning of November. 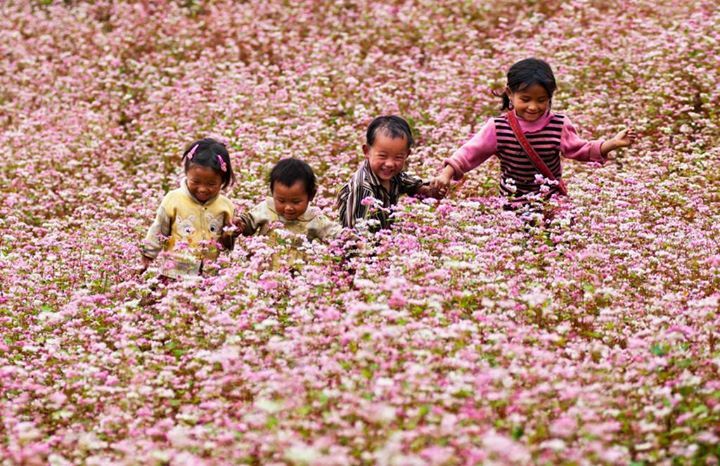 The best places to see buckwheat flowers fields are Dong Van-MeoVac, Xi Man-Hoang Su Phi, etc. The best way to travel Ha Giang is by motorbike. Actually, you can travel Sapa anytime in year, because each time, each season, Sapa is beautiful in different way. In October, Sapa is featured by stunning terrace fields, fresh and cool weather. 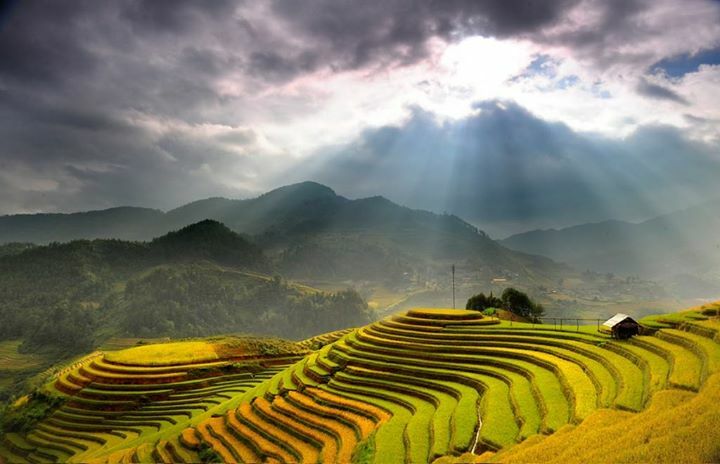 The rice terraces in Sapa were ranked as one of the most beautiful destinations in the world by MotherNature.com. This amazing man-made sites turn from green to yellow when the rice is ripe in the beginning of October. You should visit at this time before the locals harvest rice. 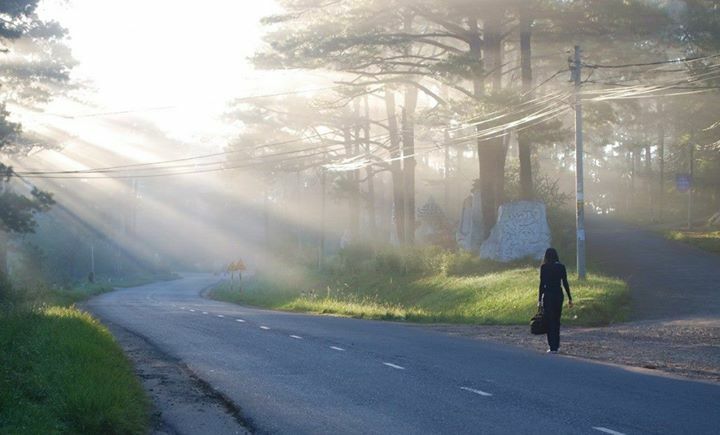 When the autumn comes, the poetic city of Da Lat becomes more beautiful and romantic than other seasons in year. In October, Da Lat is featured with stunning golden Wild Sunflower blooming on the side of the streets, slopes or pine tree hills as well as golden Mimosa – the symbolic flower of the city. Together with the fairy cold weather, foggy morning and sudden rains, it is really awesome when riding a motorbike to travel around Da Lat, or take a hot cup of coffee in a small café on the hill to feel the peace in your mind. If you think October means beach time is over, you should reconsider. The end of September and the beginning of October is the best time to travel PhuQuoc Island, when the rain season is over. 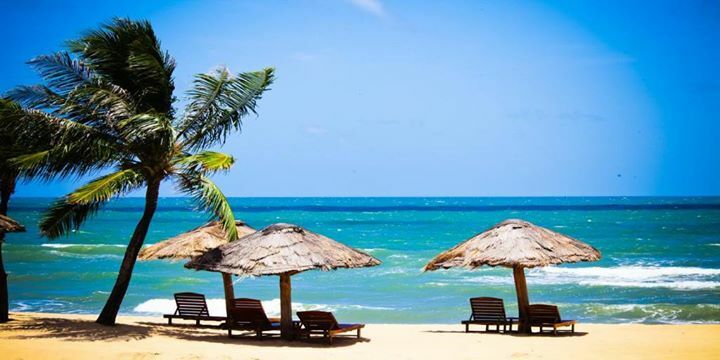 Coming to PhuQuoc, you will enjoy the very beautiful sunny weather, along with gentle waves, stunning white sandy beach and amazing surroundings. You can visit some famous sites such as various beaches, Ham Ninh ancient fishing village, Tranh stream, Bat Dan stream, PhuQuoc National Park, PhuQuoc Prison, etc or join interesting activities such as swimming and bath-taking at the beach, scuba diving or snorkeling to see coral reefs, fishing or discovering the wild life.